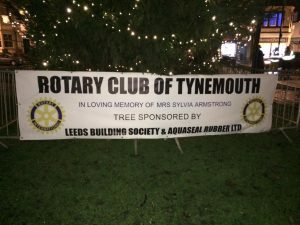 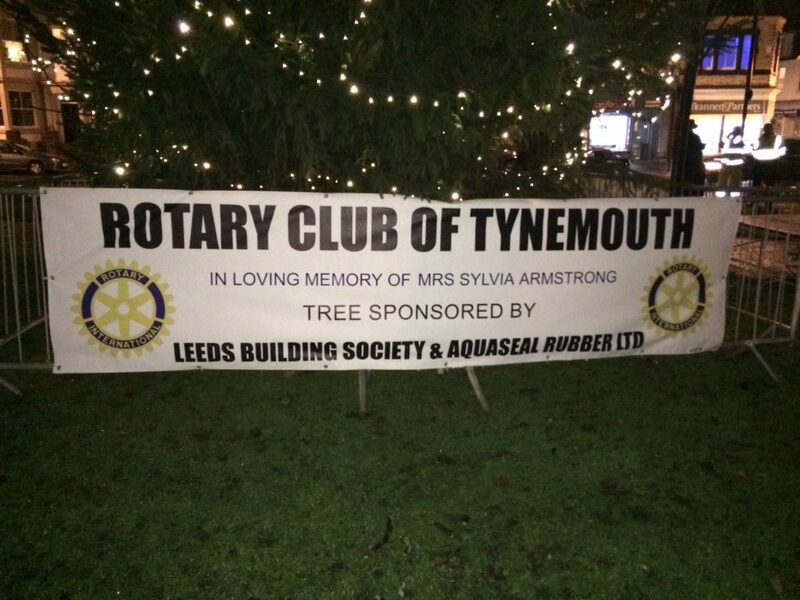 Christmas Tree - Aquaseal Rubber Ltd.
We have made a donation to the tree this year in loving memory of Sylvia Armstrong who helped out with this ceremony for many years and we all miss her. 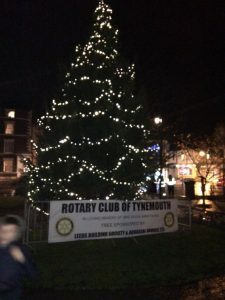 If you’re free tonight Thursday 3rd Dec the official lighting and carol service starts at 7pm next to the Queen Elizabeth monument. 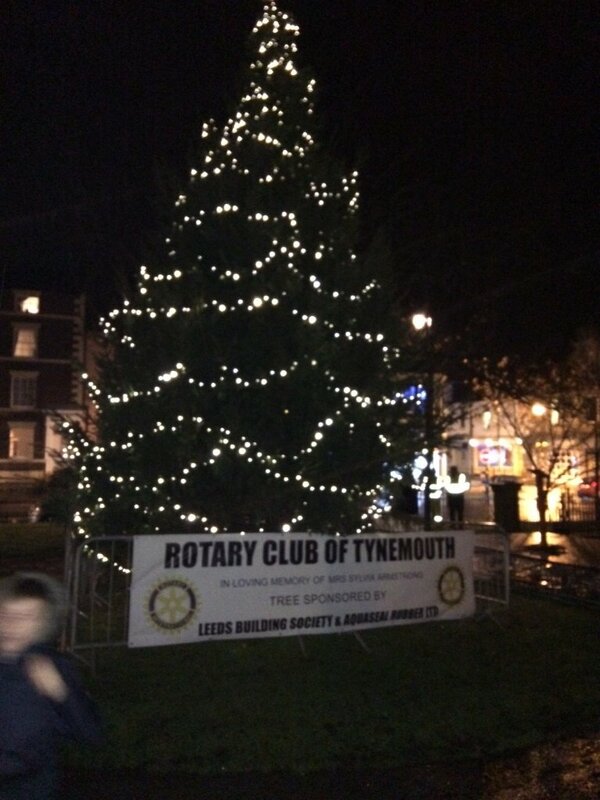 A lovely night had by all the singing was great & tree looks good.